In kindergarten, almost every kid has the same favorite subject in school – Choice Time. Choice time usually disappears in third grade, but when it does appear in later life, it’s usually still a favorite. 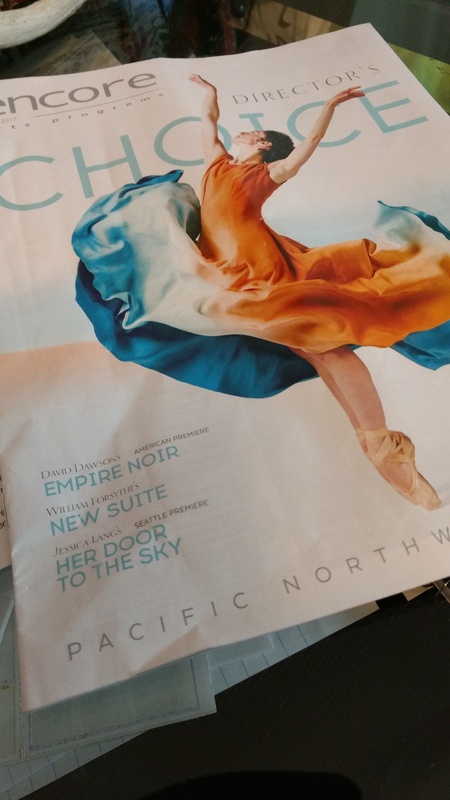 For me, that means the annual Director’s Choice program at Pacific Northwest Ballet. Of course, it’s the director’s job to pick the programs, so in a sense every program is the director’s choice. But the idea behind Director’s Choice is that for this one program, the director picks ballets he likes best without consideration for budgets and ticket sales. I doubt that the director is ever free from those considerations, but it’s a nice idea and it is true that Director’s Choice includes more premieres and bolder works than other programs throughout the season. Which is why I always end up liking it best.